Need 500 or more labels? 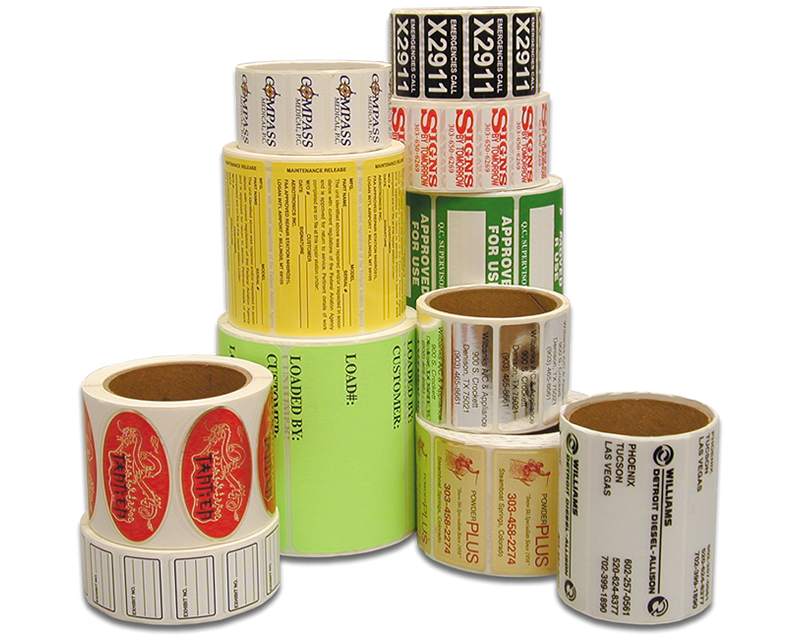 Flexographically printed roll labels are the industry standard. 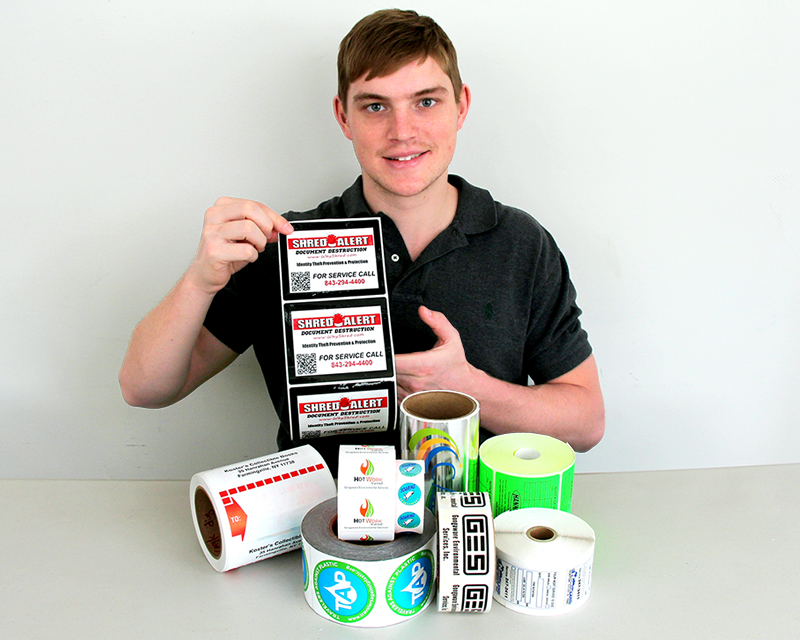 Custom roll stickers are affordable and ship in just a day or two (after art approval). • Material options include paper, vinyl and, for more durability, laminated vinyl and polyester. • Get an instant quote below. For even better pricing and simple one color designs, check out thermal printed rolls. Save up to 50% more! • We can turn any sketch into polished art at no charge. 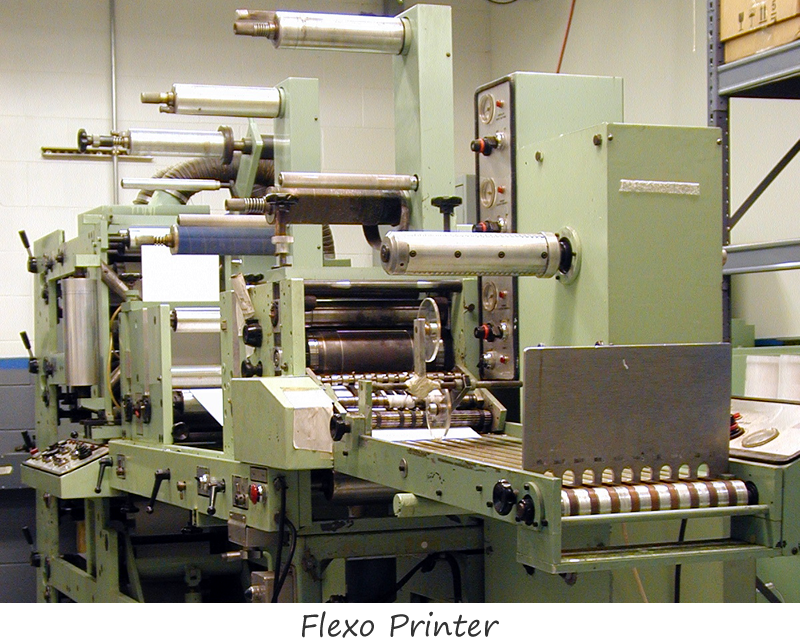 • For process printed, full 4-color labels, use our other quoter. Handy color-coded circle stickers in Grab-a-Label dispensers to mark inventory. Available in up to 10 colors and 6 sizes. 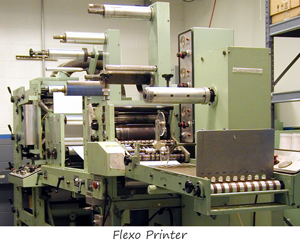 Click here to get a quote on full color printing. 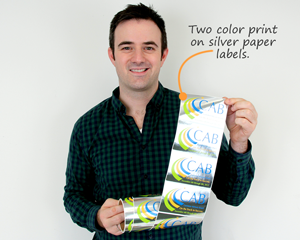 Show off your graphics in full process color. Starting at just $53.95/box of 1000. Customize with black ink on fluorescent colors. Includes handy dispenser box. 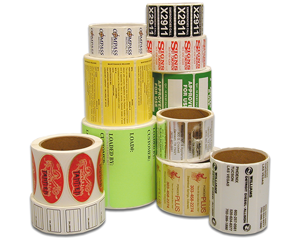 Blank fluorescent labels start at just $19.95 / roll of 1000. Code inventory or create rotation schedules. Labels come in handy box, too. Choose nos. from 1-5000 or start your own sequence. 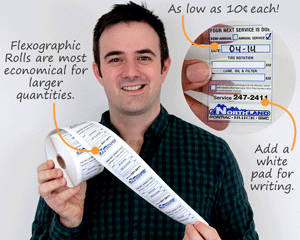 Paper, laminated plastic labels available in 5 colors & 5 sizes. 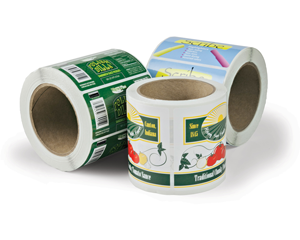 Water soluble labels are a great solution to short term labeling needs, with a clean easy removal. Known for its resistance to water, grease, and chemicals. 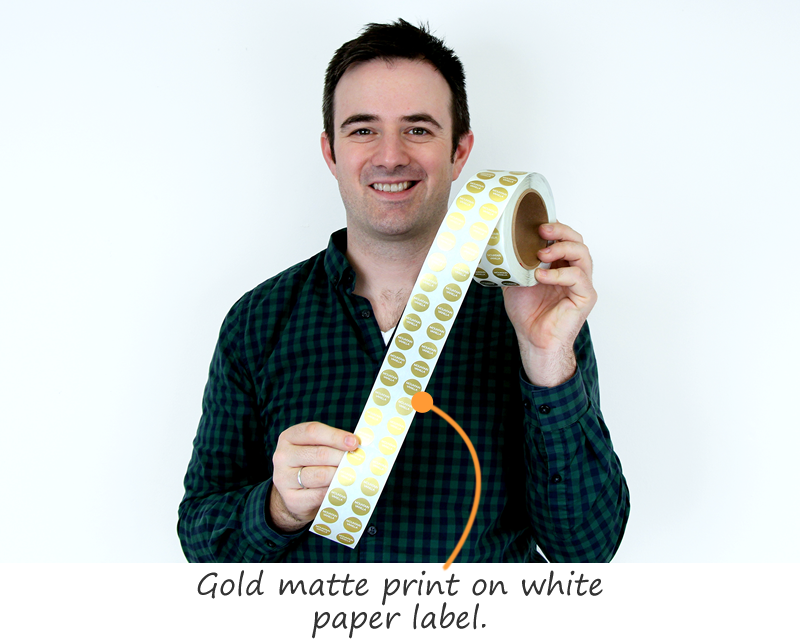 Paper labels are simple and very affordable.